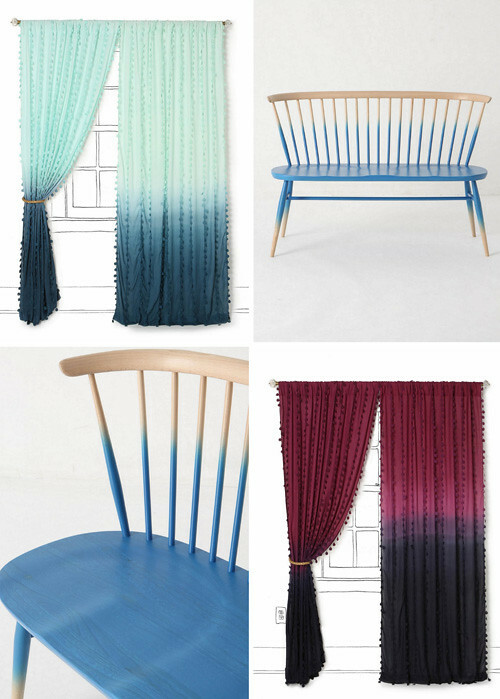 Ombre, a French word that literally means gradation, is a trend that I'm seeing in fashion and in the home for Spring & Summer that carried over into 2012. Have you noticed? In Paris, I spotted the French playing with various shades and felt inspired by how colors were used, on what, and which colors were selected in the first place. I noticed mostly watercolor citrus hues and ocean tones in fashion, flooring and even wallpaper and tiles. 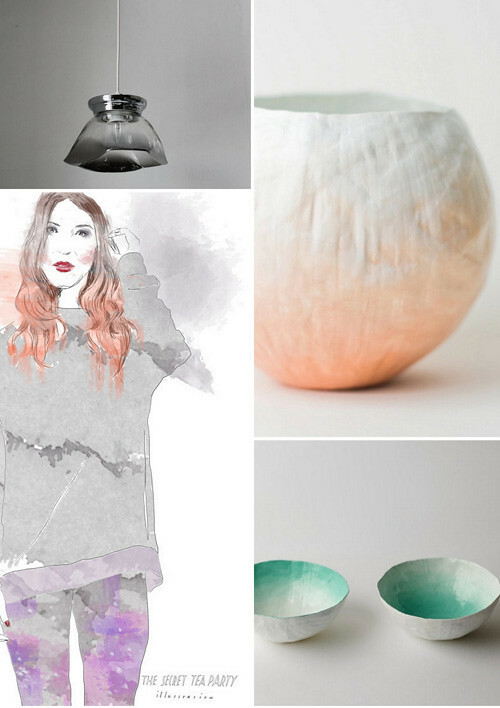 Here are a few inspirational photos that spotlight this trend - pretty, right?! Beautiful ombre in pinks from fellow fellow. Shown above: Windsor Love Seat, curtains, ceramics, pillows, glass pendant light, illustration. Not shown: scarf DIY and lots of pretty dresses. Do you like the ombre trend? Do you own anything for home or in your closet like this? I like it, but more on pillows and rugs and for ceramics and glassware then anywhere else. Do you have a preference too?